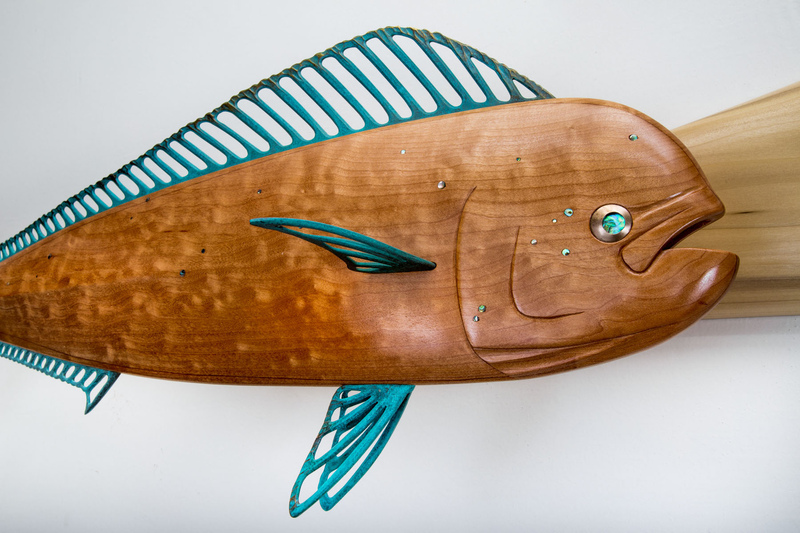 Mahi mahi are among the most beautiful fish in the ocean and often form large schools. As they mature, the males are differentiated from the females and juveniles by their large, flat foreheads. 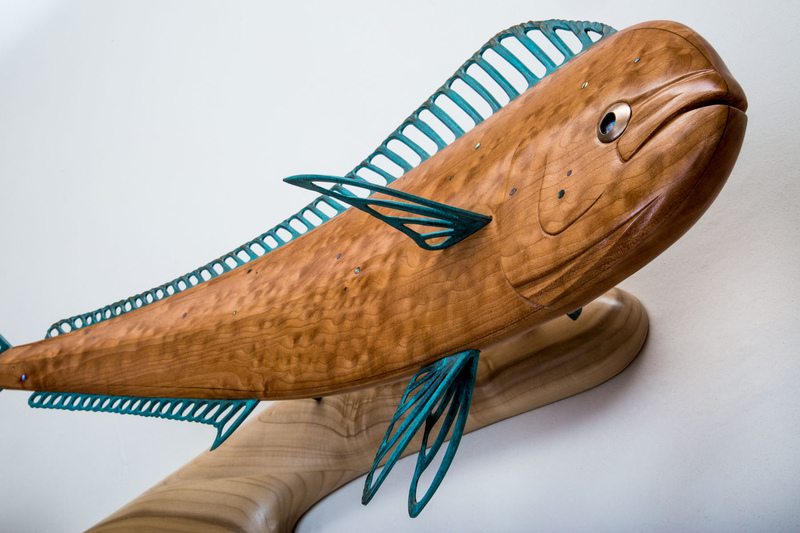 These pelagic fish can change color instantly, from cobalt blues to yellow gold. 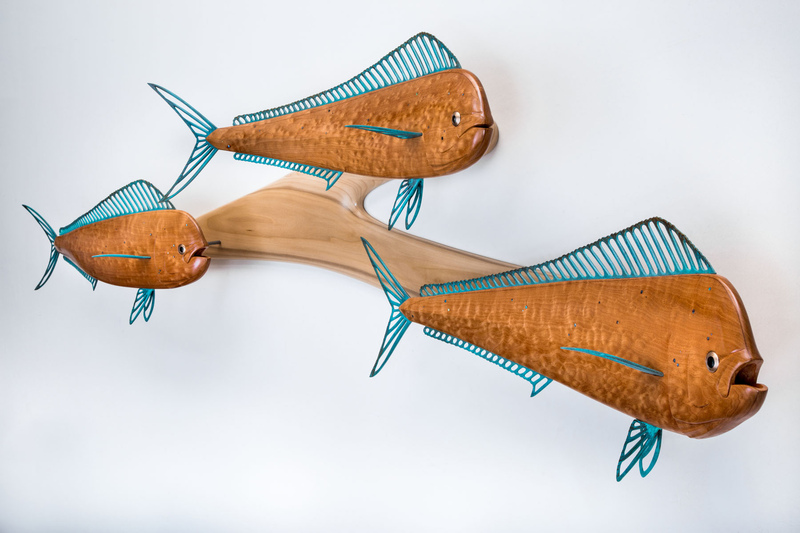 This mahi mahi school is made of quilted maple with small abalone pieces inlaid to mimic their “freckle” spots. 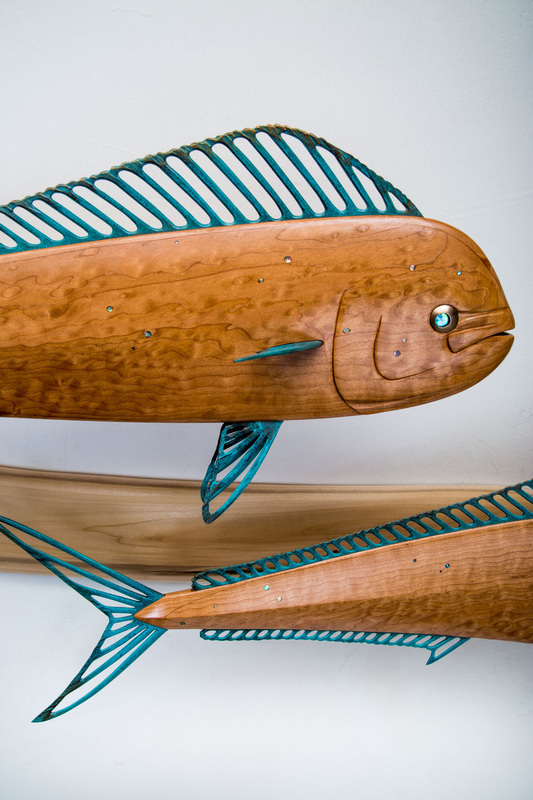 The fins are bronze with a blue-green patina. The eyes are bronze with a recessed abalone pupil inlaid. The base is poplar.